Technically excellent while individually forged by hand from solid wire, Steel brackets represent all that is best about the hand making tradition. 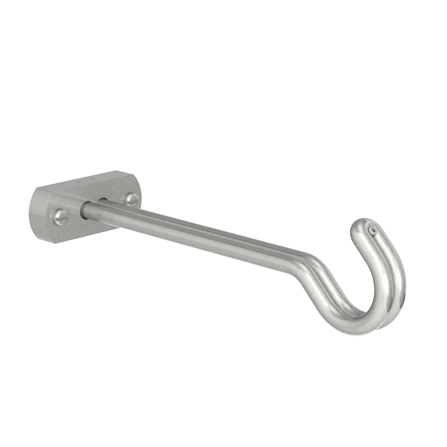 As the primary load-bearing role is taken by side brackets, this mid bracket has a horizontal back plate which gives a sleek look as the back plate and the pole are in the same plane. 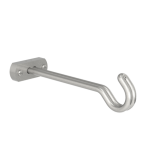 The brackets are forged in steel and welded for maximum strength. To adjust the projection of the bracket, a professional saw is required (ideally a chop saw). Once cut down to size, the arm is secured to the back plate via grub screws.